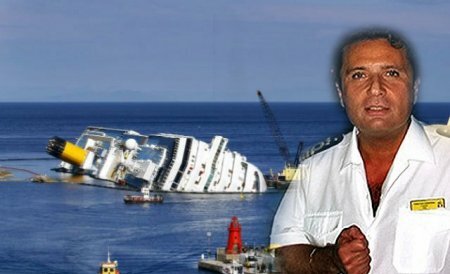 Francesco Schettino, the captain of the Costa Concordia cruise ship, is due to visit to the wreck on Thursday. It will be Francesco Schettino’s first time back on the ship since it hit a reef near the island of Giglio in January 2012 and capsized, killing 32 people. The visit is part of an investigation at Francesco Schettino’s trial, where he is accused of manslaughter and abandoning ship. He denies the charges. If found guilty, Francesco Schettino could face up to 20 years in prison. He arrived back on Giglio, off the Tuscany coast, on Tuesday, and was reported to have wept when he first saw the stranded ship. The 290m-long vessel was righted in September 2013 in one of the largest, most complex salvage operations ever, but remains stranded. Capt Francesco Schettino will board the ship along with inspectors on Thursday, but will not be allowed to interfere with their investigation. He would be allowed onto the ship “as a defendant, not a consultant”, said Judge Giovanni Puliatti. The captain has been accused of leaving the luxury liner before all 4,229 people on board had been evacuated. Francesco Schettino maintains he managed to steer the stricken vessel closer to shore so it did not sink in deep water where hundreds might have drowned. Ports in Italy, Britain, France, Turkey and China are now bidding for the lucrative contract to dismantle it.